The Summer Triangle now shifts towards the west as the Great Square of Pegasus appears higher, approaching the zenith. As the autumn ‘intermission’ in between the bright stars of summer and winter continues, Houstonians with a clear southern horizon can try to find a star that few Americans get to see. Due south and very low to the horizon at about 10:00 pm in mid-November is Achernar, 9th brightest star in the sky. It marks the end of the river Eridanus, one of the dim watery patterns that fill the southern autumn sky. If you can find it, Achernar will seem of average brightness because it is shining through so much air. Still, it is a good way to remind yourself that the stars we see depend on our latitude, and that the sky on the Gulf Coast is similar to, but not the same as, what most Americans see. 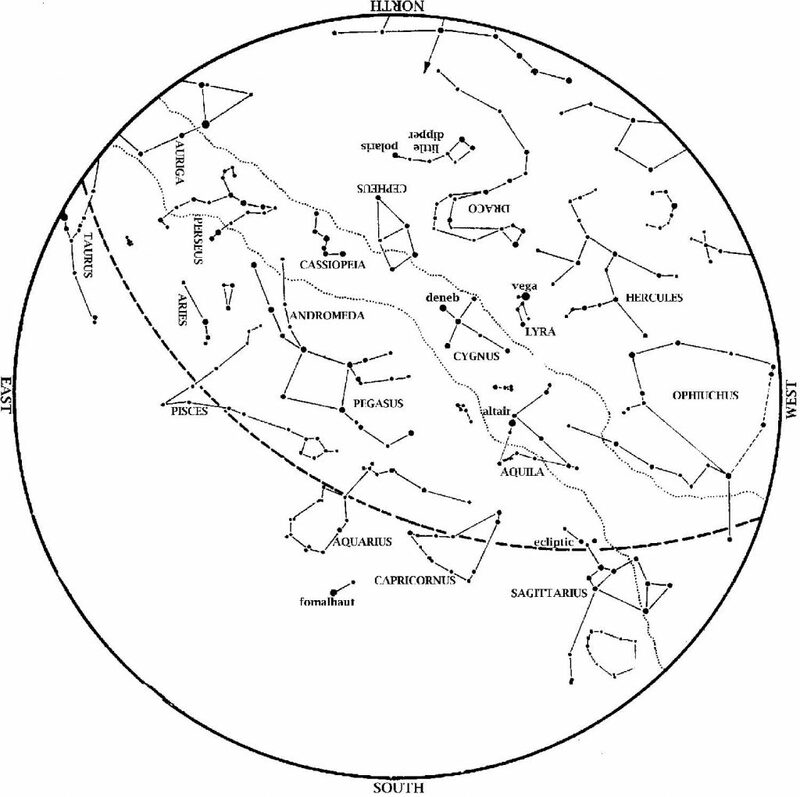 Constellations in the November southern sky represent beasts and gods related to water, indicating that they are part of the ‘Celestial Sea’. Examples are Aquarius, the Water Bearer and Pisces, the Fish. Even Capricornus, the Goat, has a fish tail because he’s originally Ea, Babylonian god of the waters. Below Aquarius is Fomalhaut, marking the mouth of the Southern Fish. Ancient Mesopotamians imagined that the Persian Gulf extended upwards into the sky, joining this ‘sea’ of dim stars. Saturn is now low in the southwest at dusk, setting earlier each night. By the end of the month, it sets in twilight. How long can you follow it? Mercury makes an evening appearance this month. 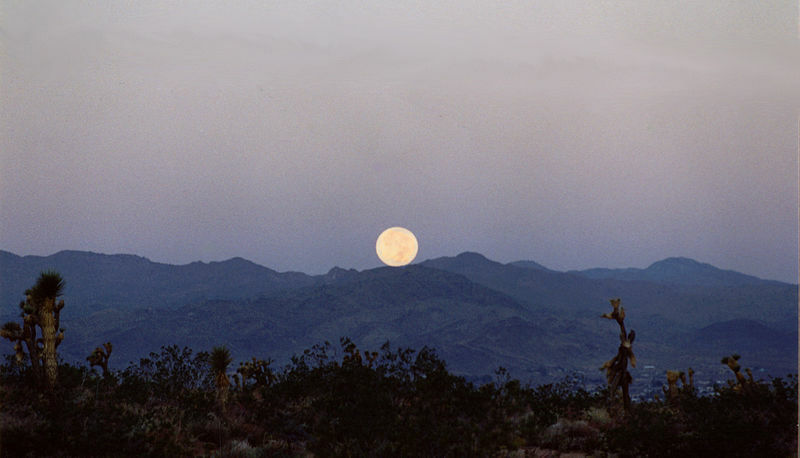 Look for it under Saturn in the southwest at dusk, especially Thanksgiving week. Venus now rises in morning twilight, over the point of sunrise just before the Sun. This is also your last month to see it before it becomes lost in the Sun’s glare. Mars is higher in the southeast at dawn than it was last month. It is in Virgo, approaching Spica. Jupiter gradually emerges from the Sun’s glare into the morning sky this month. Venus passes within ¼ degree on the morning of the 13th, with both planets just under 14 degrees from the Sun. As these two planets outshine everything but the Sun and the Moon, you can try to pick them out low in morning twilight, over the point of sunrise. The Moon passes the pair on the 17th. Full Nov. 4, 12:22 a.m. Last Quarter Nov. 10, 2:36 p.m.
New Nov. 18, 5:42 a.m. 1st Quarter Nov. 26, 11:02 a.m.
Sunday, November 5, 2017, is the first Sunday of the month. Accordingly, Daylight Saving Time ends at 2:00 am on that date. (Officially, the time goes from 1:59 am back to 1:00, such that the 1:00 am hour happens twice). Don’t forget to set your clocks back one hour on Saturday night, the 4th! Enjoy your extra hour of sleep! Due to flooding from Hurricane Harvey, Brazos Bend State park is scheduled to open November 7. George Observatory, however, may take longer. Stay tuned for more updates!